Business name: I-GLOCAL CO., LTD.
kintone usage: Time management, mail magazine delivery management etc. 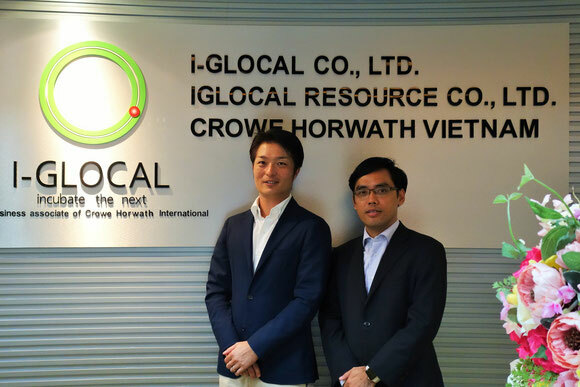 I-GLOCAL CO., LTD. (hereafter referred to as I-GLOCAL) was the first Japanese accounting firm to establish itself in Vietnam. They do business with more than 700 of the approximately 2,500 Japanese companies operating in Vietnam, leaving the several dozen other Japanese accounting firms far behind. How has I-GLOCAL managed to support such a venture? We look into the secret behind their success. 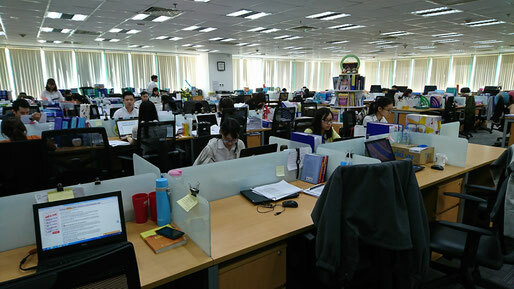 When you enter I-GLOCAL’s Ho Chi Minh City office, their largest base, few people would likely realize they had entered a Japanese accountancy firm. The majority of employees are young Vietnamese. Out of a total of 250 staff, there are only 10 Japanese: not even 5 percent. The most surprising thing is the young age of the employees.As a norm, new Vietnamese staff is employed as fresh graduates.This is extremely unusual for Japanese companies in Vietnam. Furthermore, as a general rule it appears employees are asked to leave after three years. “For example, if they join the company as new graduates at 22 years old, by the time they reach 25 they will overwhelmingly have reached a higher level of professional development when compared with 25 year-olds from other companies. We have confidence in our experience when it comes to training young graduates. “Of our firm’s 700 client companies, we are really blessed to be dealing with businesses that are excellent even among those Japanese firms operating in Vietnam. Among these companies there is high demand for hiring I-GLOCAL employees who have completed their 3 years, and in fact companies have to wait their turn. For the staff that stays on with our company, they go on to become department heads and section managers of the accounting departments. How were they able to establish a customer base of over 700 companies? “With more and more work coming in, it also became necessary to train more staff to take on the workload. The result of those frantic 3 years from 2010 on was that we now had a training system of sorts in place. After another 3 years of fine-tuning this, we arrived at the model we have now,” explained Mr. Jitsuhara. 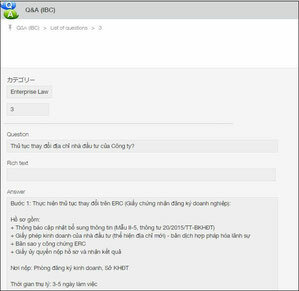 I-GLOCAL publishes a weekly newsletter about matters of Vietnamese law. 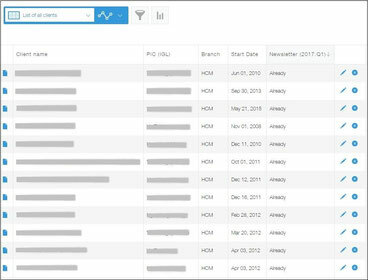 They have established a system where once every quarter they pick out a selection of the contents relevant to each respective client, put them in a column in order of importance, add information on how to deal with each situation, and send it out to staff. “I am the main person overseeing sales, but what is important is maintaining the relationship with customers after the contract period is up. In the long-term it's really important to put in the effort to maintain smooth and meticulous client support. 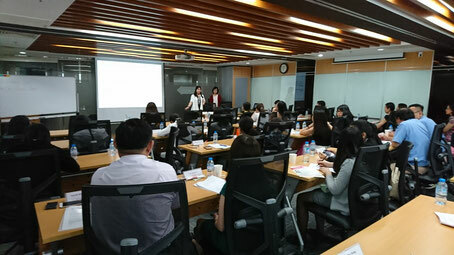 The company's experience of in-house training focused on human resource development was turned into a seminar format and was extended to the staff of consulting clients. “First of all, I want to reduce the hours that I work. On the other hand, I also want to have a grasp of everything that goes on. I want my staff to optimize the way they work. I also want my staff to be able to go home early. And I want to reduce the number of staff too. With this insatiable appetite to keep improving the way we do things, we are currently in the process of implementing various measures, one of which has been using kintone,” Mr. Trung explained. “We introduced our core system several years ago and it made a big contribution to improving our business. However, there were parts where there was a lack of flexibility so we still ended up using paper documents and Excel spreadsheets for some tasks. 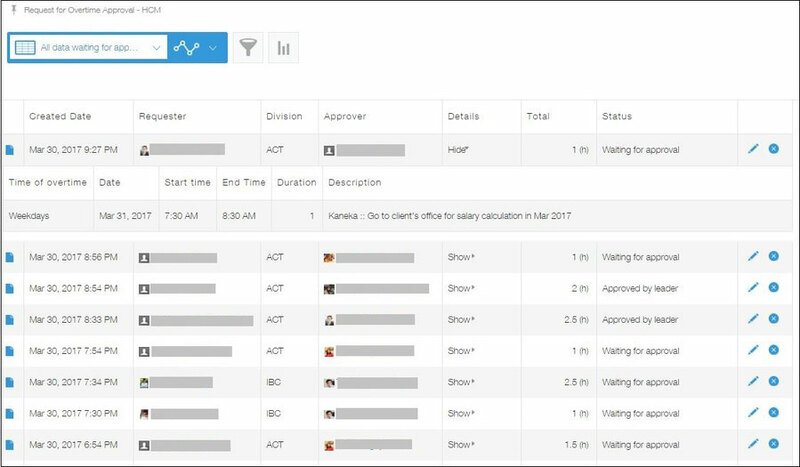 It was these tasks that we were able to switch over to kintone. Our company motto is “Simple, Open and Speedy”, so we really want to make everything open that can be, and we rely on our staff to tackle whatever needs to be done with the right resolve. It’s great that with kintone we can make information sharing within the company flexible, allowing us to make things speedy and open. Work hours used to be added up every 2 to 3 days, but now they are calculated very accurately on an hourly basis. 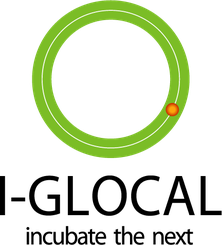 “Now, though, we’ve reached the point where when it comes to creating a simple application, any of our staff can do it right away. 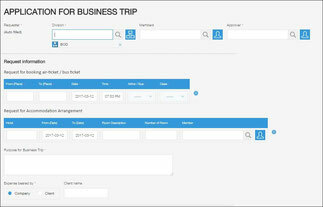 These kinds of application can be created by staff themselves and help to improve work efficiency. “However, no matter what system you introduce, if people don’t understand the point of that system I don’t believe it can be effective. At I-GLOCAL I believe that all our staff can be rightfully judged to be working in a professional way, and I also hope that each of them would want to be considered professionals in the work they do. If the staff who are simply ‘pretending to work while seeking appreciation from superiors and others for things other than the work itself’ continue to receive praise, it will have a negative impact on the motivation of those employees who actually work hard to contribute to the company. “From now on we would like to expand our services that go beyond the normal limits of what might define an accounting firm. For example, the training business that we initiated 5 years ago. Offering up our knowledge of training new graduates has become a business in and of itself. In addition, this year we opened a place called Co-Working Space where people can do their work in a café-like environment. Basically we would like to make use of I-GLOCAL’s strengths to develop various kinds of services.